Along with job site directional signs, safety signs warn of workplace hazards and instruct employees on the proper precautions to take to avoid injuries and keep the workplace safe for workers and visitors. 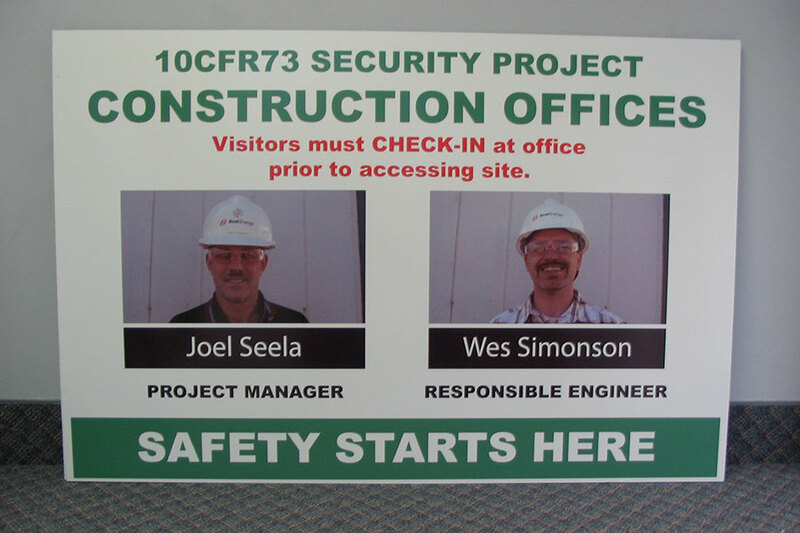 To keep your facility safe and in compliance with regulations, April Graphics offers notice signs in various sizes and a variety of materials. Let us know what you need – warning signs, caution signs, danger signs, parking signs. We will produce them to meet your specifications.